At the heart of every business operation is the desire to grow, thrive, and ultimately, successfully serve customers. It’s with that goal in mind that we endeavor to forge profitable, long-term and mutually beneficial relationships between carriers and shippers. Ray entered the transportation industry in 1975 when he joined his father’s business representing All-States Trucking Division of Pacific Intermountain Express (PIE). 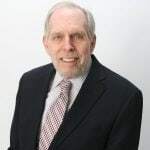 Prior to that, Ray served in the English Department of William Paterson College and worked as Director of International Activities for the Young Presidents Organization (YPO). In 1986, Ray sold his family’s trucking company, then called Plaza Freight, and started Select Carriers. Since then, under Ray’s leadership, Select Carriers has grown into a premier strategic sales management firm for the transportation industry, with annual revenues exceeding $25 million. Ray’s education includes a BS from Seton Hall University, an MA from Fairleigh Dickinson University, and further graduate studies at New York University. Ray is married with two children and four grandchildren, and he enjoys gardening, reading fiction and non-fiction, and travel.